How to prepare a Corsage for your Mother. Moms need to be recognized for all the woman they are in life. Thrill her this Mothers Day and honor her spirit as a woman, this colorful Mothers day corsage. I came to know about a preparation for a Mother's day corsage. Here is a Mother's Day Corsage that you can make for your mom this year. You take about 5 hard coloured candies the kind wrapped in cellophane. Wrap a chenille stick, that has been cut in 1/2, around the bottom of the candy. Roll all 5 chenille sticks together and then you poke these through the centre of a small paper. It looks like you have a little bouquet of flowers. Then tie a bunch of curly ribbon around and attach a pin in the back. March is here with Spring to bloom with fragrant, colorful flowers. The meaning of the March Birth Flower, the Jonquil or Daffodil or Narcissus is friendship and domestic happiness. The following photos are orchids taken in the National Orchid Garden in the Singapore Botanical Garden with a Sony Ericsson Cyber-shot camera phone. So do pardon me for the low quality. Orchid is definitely one of the most beautiful flowers and one of my personal favorites. Carnation of Mother's day is the The Divine Flower. It is botanically called as Dianthus caryophyllus, which is the cultivated variety of the clove-pink. They are divine as they are connected to the Mother as Mother's favourite flower. Though there are many Carnations of other colours found, but most of them are white, pink, red or reddish pink in colour. Large flowered Carnations - one large flower per stem. Spray Carnations (Mini Carnations) - with lots of smaller flowers. Dwarf flowered Carnations - several small flowers on one stem. What a better time of the year than Spring for a perfect Mothers Day. May is just around the corner and we all know what this means. This is the special time of the year where Mothers all over will have the chance to be honored on one unique day. Lillies are such a popular flower during Spring, but what about an arrangement offering the brilliance of both Lillies and Roses. 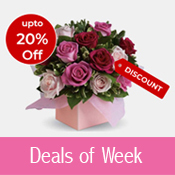 The precious pink and white Roses along with the ever-popular Lilly creates the perfect arrangement for anyone on Mothers Day. I sent this splash of color to create a touch of pink perfection with this stunning fresh bouquet to my mother last year. This blushing floral arrangement is created from blossoms in pretty shades of pink of lilies, roses and carnations, accented with a pink satin ribbon, which are the symbols of mother's day. An elegant gift that conveys what's in your heart. Mother's day and Father's day are nothing but to express our deep gratitude for the ultimate bond called Father and Mother. In several countries, people follow the custom of wearing a Rose on Father's Day to express gratitude for their dads. According to the tradition, if a person wears a red rose, it indicates that his father is alive while white rose has come to symbolize that that he is deceased. According to the tradition, in contrast, if a person wearing a white carnation is to honor a deceased mother, wearing a pink carnation is to honor a living mother on Mother's day . Yellow leaves (particularly seen in spring): Leaf yellowing in Gardenias and other bushes has generally been attributed to a magnesium deficiency and treated with applications of Epsom salts (sulphate of magnesium). Check the plant and apply an all purpose fertiliser and a good watering. You can also apply fertiliser in spring when weather begins to warm and yellow leaves begin to show. Mother's day makes us think of carnations as the symbolic and traditional flower of Mother's Day. Rose, the king of all flowers was selected as the official flower for Father's Day. As Anna Jarvis was instrumental in making the mother's day special with carnations as its symbol, so as it is said that Ms Sonora Louise Smart Dodd, the founder of Father's Day Festival, gave the idea of choosing Rose as the traditional flower of Father's Day. my gardinias leafs are turning yellow from the top of the bush, whats happening and can i correct the probablem. tks. 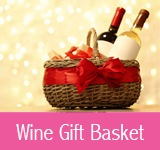 www.gifts-to-india.com Send gifts to India, Online delivery of flowers to India, gift to India, chocolates, cakes, watches, teddy, sweets, fresh fruits, dry fruits. 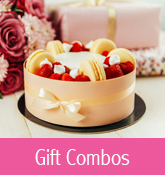 Anniversary, birthday, wedding gifts, cakes to Bangalore, Chennai, Delhi, Pune, Hyderabad, Kerala, Mumbai, Mithai Same day delivery to India, Gift Shop. Can anyone answer this query asked by a browser. When was the 1st flower shoppe opened and where? I have a large indoor bird of paradise that has bloomed for the second time. Where would I find the seeds, so that I may plant them? I sent this beautiful bouquet, to my mom last year on Mother's day. My mom liked them immensely. She sent me the thank you bouquet. In my view, this is a beautiful way of saying thanks, especially to any family member, through flowers online. As the world is celebrating International WomenÃ¢? ?s Day, I make it a point to send my woman this gorgeous pink carnations bouquet, which shows made for each other bouquet. I hope this would make her more happier. On March 8 th every year International WomenÃ¢? ?s Day, designated as an annual commemoration in 1975 by the United Nations, thousands of events are held throughout the world to inspire women and celebrate their achievements. This year also events will be held everywhere to call for women and men to unite to end violence against women and girls across the world. International WomenÃ¢? ?s Day is all about connecting women around the world and inspiring them to achieve their full potential. This day celebrates the collective power of women past, present and future. I came across a site giving the details regarding the IWD in a comprehensive manner. Being a woman, I would like every one to read this small piece of information regarding the International Women's day. The history of International Women's Day is a history of taking action. The event originated in 1908 when women garment makers in New York demonstrated to demand better working conditions. They worked in appalling conditions, earned half of men's wages, died prematurely from poor health and didn't have the right to vote. In 1910 an international conference of women resolved that each year a day should be set aside to press for women's demands. Since then International Women's Day (IWD) has been celebrated around the world each year on March 8. From its inception International Women's Day has stood for equality between women and men. At the same time in England, women were meeting and marching to demand the right to vote. The Suffragettes adopted the colours of Green, White and Violet to stand for their slogan "Give Women the Vote". Since then these colours have been used to symbolise the struggle for women to obtain equal rights. In Sydney, IWD was first celebrated in 1928 at a rally that called for equal pay for equal work, an eight hour day for shop workers, no piece-work, a base wage for the unemployed and paid annual holidays. Rallies and marches have been held throughout Australia every year since. Of course, much has improved since then, but we still have some way to go to achieve equal opportunity for women, not only in Australia but throughout the world. So IWD is about remembering the battles long fought to build a society that is just and fair to all its members a society in which diversity, tolerance, safety, social justice and equality between women and men is a given. And its about celebrating what women have done, are doing and can do. Gender equality must also be at the heart of eradicating poverty. UNESCO celebrations for International WomenÃ¢? ?s Day focus on gender equality including equal access to quality education. Launched annually on the occasion of International WomenÃ¢? ?s Day (8 March), UNESCOÃ¢? ?s Women Make the News is a global initiative aimed at promoting gender equality in the media. Two important meetings on women in the African Great Lakes region will be held in Mombasa (Kenya), in early April 2009. A month after International WomenÃ¢? ?s Day, they will highlight the urgency to act against violence towards women. The LÃ¢? ?ORÃ?AL-UNESCO Awards For Women in Science recognize five laureates annually, one each from five parts of the world. Every year in March, UNESCO celebrates International WomenÃ¢? ?s Day (March 8) by hosting a flagship programme, consisting of round-tables, conferences, exhibitions and cultural events that highlight issues relating to the empowerment of women and the promotion of gender equality. This year March 8 th falls on Sunday. Mother's Day is an British old tradition . In England it's traditionally called Mothering Sunday. Later it began as giving gifts to their mothers. Usually Baking a Simnel cake, making scented herb sachets and saying it with flowers are generally observed on this Mothering sunday. Originally it was a religious festival. A regular church was attended by the people or a cathedral, known as the Mother Church. It was called as going for a mothering. Select a pretty fabric with a rather open weave. Make a rectangular piece of this fabric that is about 8 inches (20 cm) long and 4 inches ((10 cm) wide. Bend it double. Sew or glue up one side of it. You now have a little bag. Buy some dried herbs from the store mint, lemon balm and thyme can be found in most food departments, or you can buy dried lavender, geraniums or roses from a florist. You can add a few drops of scented essential oil if you wish this can be obtained at gift shops. Fill the bag with the scented herbs. Glue the bag closed. If you can do blanket stitch, then stitch with blanket stitch around the edges of the entire bag which will give it a decorative appearance and be a double safeguard against the glue coming apart. The sachet can be kept in a drawer with underwear, to give a pleasant scent to the clothes. You can gift your mother, an aroma she feels it lingering through out her wardrobe. If you're able to, visit Mom in person. If you've already bought a card to send, tuck a personal letter inside of it this year. Send a contribution in Mom's name to a cause that she supports or supported. Patch up a quarrel before it's too late. Plant some flowers or a tree where they'll bring beauty to the world and pleasure to those who see them. Make a meal for your Mom or for another Mom. Just be sure to clean up ALL the dishes, including those you cooked in, and wipe that splash off the wall. It was honored on the fourth Sunday in Lent. It began as a day when apprentices and servants could return home for the day to visit their mothers. They often brought a gift with them, often a "mothering cake", a kind of fruitcake or fruit-filled pastry known as simnels. Furmety, a sweetened boiled cereal dish, was often served at the family dinner during Mothering Sunday celebrations. Mother'Day in Britain -- or Mothering Sunday -- came to be celebrated again after World War II, when American servicemen brought the custom and commercial enterprises used it as an occasion for sales, etc. The Lady Bird Johnson Wildflower Center debuts nature-inspired sculptures by Texas artists in its gardens. The exhibit of 38 sculptures in ceramic, copper, wood and other media by members of the Texas Society of Sculptors runs from March 3 to May 31. The sculptures range from fanciful peacocks and female sirens to realistic images of a horned toad, human faces and other subjects. A reception with the artists will occur Sunday, March 15, from 1 to 4 p.m. in the centerÃ¢? ?s courtyard with awards being given for the best sculptures at 2:30 p.m. A demonstration for the public of how artists create sculptures will occur in the courtyard Saturday, April 18 and May 16, from 1 to 4 p.m. Most exhibit pieces will be available for purchase. The show goes on March 3 through May 31. Barbara IrwinÃ¢? ?s sculptures always bring second looks, smiles and wonder. IrwinÃ¢? ?s talent for finding, resurrecting and re-combining discarded flotsam and jetsom yields flowers and plants like youÃ¢? ?ve never seen before, forcing the viewer to notice shapes and textures in this metallic flora and to think about the same in the real thing! The show goes on January 10 through March 8. Long road trips and a study of the anatomy of wildflowers preceded Keith SteberÃ¢? ?s creation of these outstanding mixed media works appearing at the Wildflower Center for a limited time. Using a combination of pen, ink, charcoal and oil paints, Steber captures the essence of our beloved wildflowers, providing the viewer the happy and colorful anticipation of spring while Texas plants are still dormant. The show goes on January 10 through March 8. The first International Women's Day, IWD was in 1911. It followed unanimous agreement at an International Conference of Working Women the previous year. Clara Zetkin proposed that every year in every country there should be one same day when women's solidarity presses for equality. Last modified on Mar 27, 2009 | TFE v1.2 | © 2005-2017 Gifting Inc.